The attached photos have just been brought to our attention. 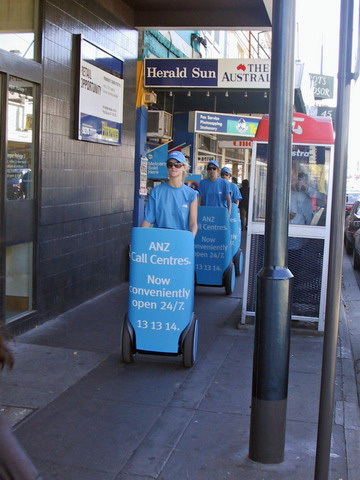 They would appear to be young women driving what appears to be Segways on the footpaths in Melbourne. 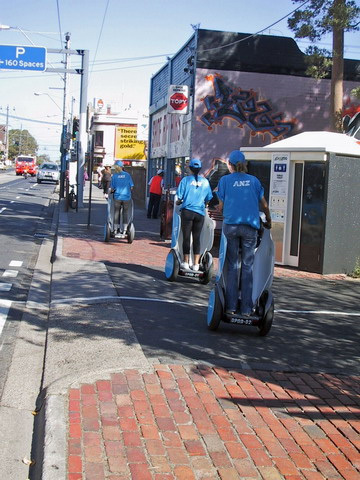 According to our advice, these devices are illegal on all public footpaths and roads throughout Australia. They are most certainly illegal in NSW. 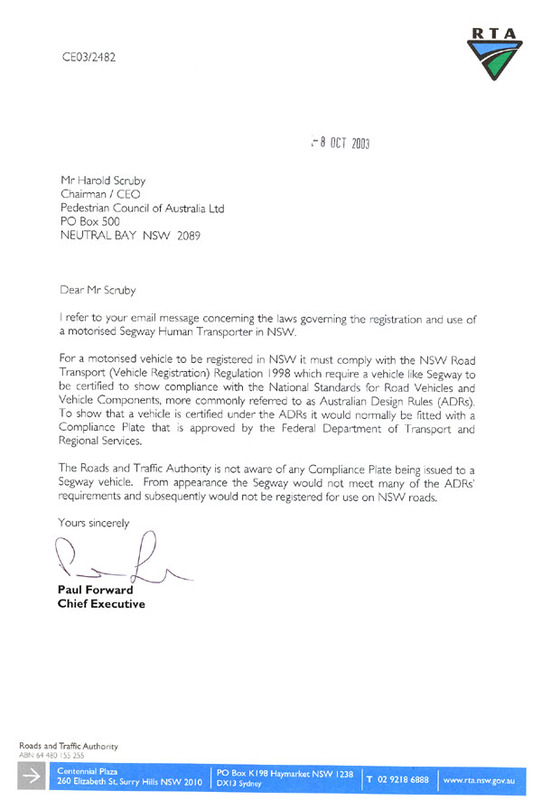 Attached is a copy of a letter to us from Mr Paul Forward, CE of the RTA, verifying same. In any event, they are extremely dangerous. If they were to hit a child or an elderly person, they could inflict serious injuries, if not death. They cause havoc for people with disabilities, especially the vision impaired, because they are silent and can't be heard approaching. And they are far too dangerous to ride on the road. They have been banned in most cities throughout the world, for these reasons. Would you please ensure you cease this type of irresponsible advertising immediately and advise the company concerned that their behaviour is both illegal and dangerous and request a commitment from them that they will cease this illegal, anti-social and dangerous behaviour forthwith. You might like to provide us with their details in reply. We look forward to your swift response and formal reply.